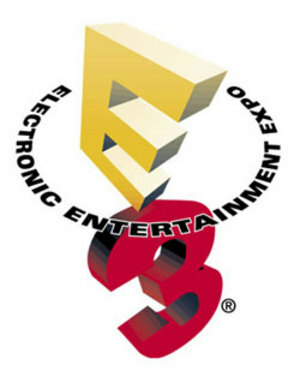 E3 is by far the best time of the year for any true gamer. Seeing what is on the horizon from the top gaming companies in the world is second-to-none for people like us. We here at the Warp Zone decided to each pick the top five games we’re most looking forward to at next week’s E3 in Los Angeles, Cal. Ever since the story leaked that Sega was resurrecting the original Sonic series, I’ve been looking for any information I could get my hands on to learn more about the game. We’d have to go back to the day of the Sega Genesis and the hay-day of the 16-bit era to get a true, genuine 2-D Sonic game. Our long wait is over. The trailer didn’t show much, but it did give us a glimpse to the style of gameplay that we all grew up with, as Sonic sped across a 2-D plain from left to right, just like we’re used to. I’m a little skeptic about the game coming in chapters rather than one download, as it may price itself out from many fans giving the game a fair shot. I’m happy that Sega finally realized that the blue hedgehog doesn’t have to be running around in 3-D like his old rival Mario to still be fun. He’s back to where he belongs. We all just got our God of War fix with March’s God of War 3. That isn’t enough. I want more Kratos, and I want him on the go. We get the chance to bring him with us wherever we go when God of War: Ghost of Sparta releases on the PSP. If you’re a PSP owner like me, you often question why you still own the console that has all but failed at competing with Nintendo’s DS console. One of the few bright spots was God of War: Chains of Olympus, which brought everything that made the God of War series from the PS2- and now PS3- to the PSP. Returning to the helm is Ready At Dawn, the same guys who brought us Chains of Olympus. Kratos may once again come to save the PSP a second time. LittleBigPlanet was the reason I bought a PlayStation 3. Period. Being able to play a solid platformer in stunning HD was enough to sell me on shelling out $500 for Sony’s system, and it didn’t disappoint. Creating your own levels, then sharing them with friends online, and vice-versa was unlike anything we’d seen before. How does Sony follow it up? LittleBigPlanet 2 isn’t just a platformer anymore. You want to create a racer? Done. You want an RPG? Do it up. The only limits to the game is your own imagination. I really cannot wait to see what creative people unlike myself come up with when given the keys to this game. The possibilites are endless, and I can’t wait to explore them. I can’t think of a game that surprised me more than Batman: Arkham Asylum did last summer. I had no expectations going into it, and it came out as one of my favorite games of all time. Everything from the combat to the exploration and dedication to the Batman brand was executed perfect, and in the process, made developers Rocksteady and publisher Eidos household names in the gaming community. The teaser trailer (below) for the sequel looks to be more of the same, continuing with the dark, grungy feel we got from the first game. Joker is back, this we know. Will Robin be here? What about other top Gotham villans? With the success of the first game, along with the endless accolades from both critics and fans alike, it is interesting to see what Rocksteady has in store for the ‘Caped Crusader’ in his next adventure. Although it debuted last year at E3, little more has been revealed about Team ICO’s next game, The Last Guardian. The trailer showed a boy playing with this creature that seemed to be a blend of dog and bird, and the relationship that they had formed. Little is known to style of gameplay or story at all. These are the same guys who gave us PS2-greats Shadow of the Colossus, and arguably my favorite all time game, Ico. Both games were more works of art than pure video game. Each had a great backstory without having any real narrative. It’s hard to say more about the game, having very little information available, which is why this is the game I want to know the most about come E3.